Service industry companies in the eurozone are more pessimistic about their prospects than at any time since early 2009, pointing to little chance of a return to growth for the region soon, according to business surveys published Thursday. Preliminary data showed the weakest reading for service sector activity in 40 months, and expectations for the year ahead were at their lowest since March 2009. 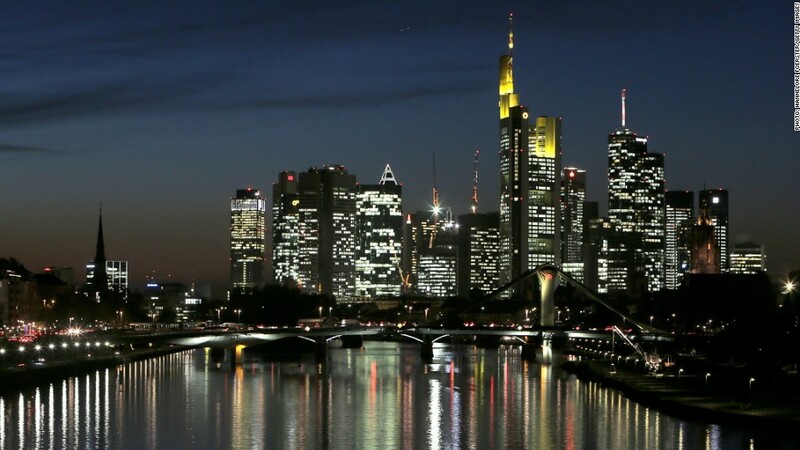 Sentiment in Germany, Europe's biggest economy, fell particularly sharply. Markit's composite purchasing managers' index (PMI) for November stood little changed at 45.8, compared with 45.7 in October. A fall in the services PMI to 45.7 from 46 was partly offset by a slower rate of decline in manufacturing. Any reading below 50 signals contraction. Markit said the surveys pointed to contraction of 0.5% in the eurozone economy in the fourth quarter. Eurozone gross domestic product shrank by 0.2% in the second quarter, and 0.1% in the third, leaving the 17-nation currency area stuck in recession. "While it is reassuring to have seen signs of stabilization in some survey indicators, the overall rate of decline remains severe and has spread to encompass Germany, suggesting the situation could deteriorate further in the coming months," Markit chief economist Chris Williamson said. Jobs were being shed at their second-fastest rate since January 2010 as companies become increasingly anxious about the economic outlook and seek to keep costs under control. "All this suggests that any swift return to growth is unlikely," Williamson said. Germany saw divergent trends in November, with manufacturing registering a slower drop in output compared with October, and new export orders declining at their lowest rate for six months helped by stronger demand from China. The overall German PMI reading stood at 47.9, up from 47.7 in October. But the German services sector saw its fastest contraction since June 2009, and the outlook remains bleak. "The survey panel noted widespread worries that client budgets will be cut in 2013, alongside expectations that the euro area crisis will further undermine the German recovery," said Markit senior economist Tim Moore. The European Commission forecasts growth of 0.1% for the eurozone in 2013, but with more spending cuts and tax rises to come in countries such as France, Italy and Spain, and the prolonged wrangling over Greece's bailout holding back sentiment, many private forecasters are predicting another year of recession. PMI data for France, which was stripped of its AAA credit rating Monday by Moody's, showed a mirror image to Germany, with manufacturing continuing to contract at a sharp pace while services sector firms reported a more moderate fall in output than October. Still, the overall French PMI reading of 44.6, up from 43.5 in October, continues to reflect a marked rate of decline for Europe's second biggest economy, and was the ninth consecutive month of contraction. A prolonged recession in 2013 would undermine many of the assumptions underpinning eurozone government budgets and bailout programs, and could lead to another flare up in the sovereign debt crisis if borrowing needs rise and investors lose faith in the ability of the region to chart a path back to growth. Bond yields for some of the eurozone's more vulnerable states held steady Thursday, but have risen from lows posted in the wake of the European Central Bank's announcement in September that it was ready to buy bonds of eurozone nations if they signed up for formal bailout programs. Markit said forward-looking indicators in the manufacturing sector also pointed to continuing weakness in the months ahead, with large falls in the volume of goods purchased and inventories. Employment across the eurozone fell for the eleventh month in succession, with the rate of decline accelerating in services but easing in manufacturing. German employment dropped at the fastest rate since January 2010, while the eurozone periphery saw the fastest rate of job losses since July.